Nurse Caroline trained in North Devon, working in several hospitals in the south of England. After moving to Guernsey she initially worked at the PEH before moving into practice nursing 18 years ago. 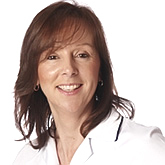 Nurse Caroline has a number of interests and has postgraduate diplomas in Coronary Heart Disease Prevention and Weight Management and Nutrition. She enjoys managing leg ulcers and has certificated courses in Doppler Assessment. Other interests include minor surgery assistance, travel medicine and childhood immunisations.